When people visit Masbate province, they usually stay in Masbate city and become enthralled with its annual rodeo, herds of handsome cattle and beautiful rolling hills. But, if you’re thinking of spending your vacation in this province, take note that the capital city shouldn’t be your only stop. 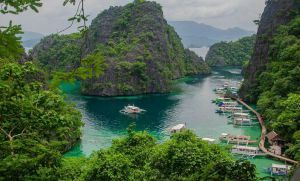 Masbate has many other exciting things to offer, so take the time to explore these wonders to make your holiday fully complete and enjoyable. One thing you should put into your itinerary is to visit Claveria. This municipality is located in the southern portion of Burias Island and, as of 2010, it has a population of around 41,572 people. To get to this area, you can hop on a plane from Manila to Legazpi City; from there, you need to take a bus and then a jeepney to the town of Pio Duran in Albay (which is the nearest jump-off point to Burias Island and lets you reach the island in just an hour). If you’re up for a longer trip, you can also ride a bus directly from Manila to Pio Duran. This takes around nine hours if you take the Curry Ave/AH26 route. 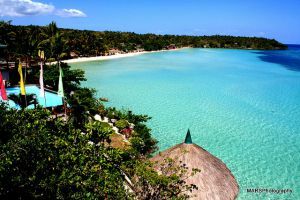 Although this beach is mainly located in Barangay San Isidro, it actually spans around 10 kilometers from Barangay Mabiton to Mababang-Baybay. It’s famous among locals and even foreign tourists because of its white sands, turquoise waters and diverse marine life (including crustaceans and coral reefs). It also stands out from the crowd because it’s not too commercially developed, which means it’s not cluttered by five-star resorts and restaurants and has retained is natural rugged beauty. As a result, it provides a respite for those who are weary of urban living and are looking for a peaceful and inviting spot where they can spend time with Mother Nature. Want to challenge your physical skills and have an exciting, once-in-a-lifetime adventure? Then the underground cave in Barangay Boca Engano should be on the top of your itinerary! Here, you can explore caskets with human remains (which are believed to be around 500 years old) and marvel at beautiful rock formations that nature has made over the years. Your best option is to enter the cave at low tide so you can bring your camera, flashlight and other belongings but, to have an adventure-packed experience, get in at high tide and show off your diving and swimming abilities. Even if you’re not an avid hiker or mountaineer, trekking up Mt. Enganoso is one of the things you should do to complete your vacation in Claveria. Mt. Enganoso (whose name is taken from Barangay Boca Engano, where its foot is located) stands at 428 meters and is considered to be Masbate’s highest mountain and the Philippines’s 111th highest mountain. By climbing up to its summit, you’ll be treated to magnificent and breathtaking views of Claveria’s stunning beaches and pretty river valleys, the busy downtown pier and even the famous Mt. Mayon. You’ll also have the chance to relax and unwind as you breathe in the fresh, cool air and enjoy the picturesque views. Head off to Claveria, Masbate now to enjoy these fantastic activities and attractions!